This Single Malt Longmorn Distiller's Choice is a Speyside whisky, result of the aging process of three different types of barrels: european cask, american and Sherry. Longmorn Distiller's Choice is a Single Malt that has haved a triple maturing process with three different types of barrels, european barrel, american barrel and Sherry barrel. Round and spicy, this expression has creamy caramel notes and ginger and citruses aromas. Built on an ancien church site, the Longmorn distillery was created by John Duff and his two partners, Charles Shirres and George Thomson in 1894. John Duff is oblige to sell his shares at the end of the 19th century, after the whisky crisis. It is John Grant (Glen Grant distillery) that helps. 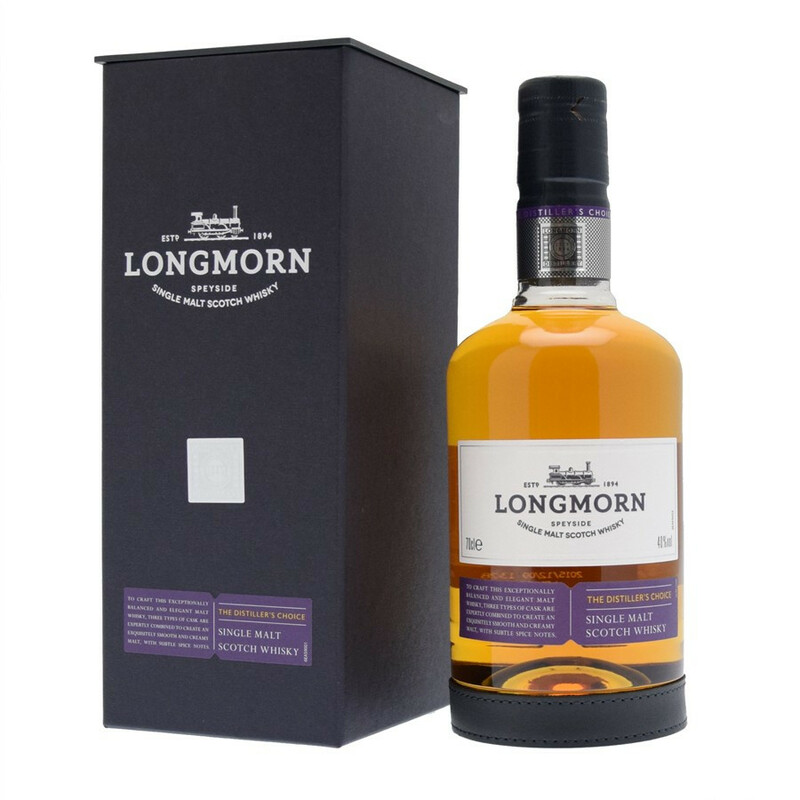 In the 1970s, Longmorn fusionned with The Glenlivet to create The Glenlivet Distillers Ltd. Longmorn is one of the rare distileries that have never stop producing. It is part of the "Heritage Collection". The distillery is also known for its wide pot stills and for the quality of its malt. Nose: caramel notes, chocolate milk and soft mandarine. Round and creamy. Palate: round and creamy with fruity ginger, ripe pear that matches perfectly soft caramel and ginger bread. Finish: malty and spicy, long and soft.